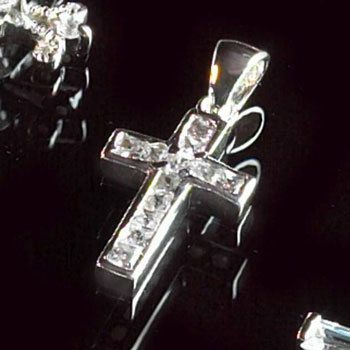 This beautiful sterling silver cross with inlaid cubic zirconia stones is perfect in every way! Pendant measures approximately 1" x 1/2" and hangs delicately from an 18" sterling silver chain. So sparkly and pretty - it's sure to be a cherished gift! Ready for gift giving in a deluxe gift box.